It’s not just any Friday – that’s right, we’re back with another great Fashion Friday! And today we have the pleasure of hosting another fabulous guest blog from the incredible Kristan Serafino herself! As a stylist to the star’s, she’s dealt with her fair share of hair drama and trauma – and today she’s sharing all the tips and tricks every bride needs to know to look gorgeous on her wedding day! So get ready to learn (and beautify)! Enjoy! 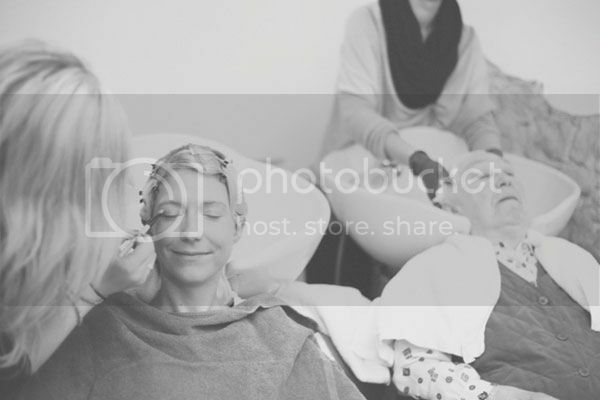 As a professional hairstylist, I have watched the bride’s selection of her beauty team become increasingly more important in the overall scheme of wedding planning. And, while I’m admittedly partial to the value of hair & makeup stylists, I truly believe the heightened attention to this artistry is justified. After all, the handiwork of the beauty team is prominently exhibited in every photograph of the bride and captured forever for friends, family and the happy couple to cherish. 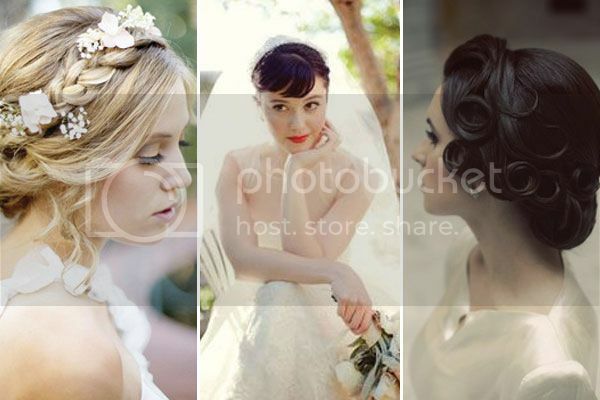 Because a brides beauty team has become such an integral part of her big day, it’s now common for professional hair and makeup artists to not only attend to the bride and the wedding party for the ceremony and reception, but to participate in the bridal shower, bridesmaid luncheon, rehearsal dinner and even the morning-after brunch! And, while building a heightened bond with brides and the bridal party is amazing, it does mean that one major issue often gets overlooked – and that one issue that I want to discuss is: How to Communicate with Your Hairstylist. Communication is the key to a successful, fun and cost effective beauty team and even if your booked with your long time hairdresser or your going to a bridal specialist, here are what I believe to be the essentials of building your wedding hair routine! 1) Bring magazine photos (or high quality Pinterest images) to your appointment and be prepared to discuss why you chose a particular hairstyle. Some will work on you with your gown choice, veil, accessories ect while others won’t be as flattering so make sure you have a few options to choose from! 3) Wear a white shirt with a neckline that loosely resembles the bodice of the bridal gown to get a better feel of what you’ll look like on the big day. 4) Bring a picture of your bridal gown, showing different angles. 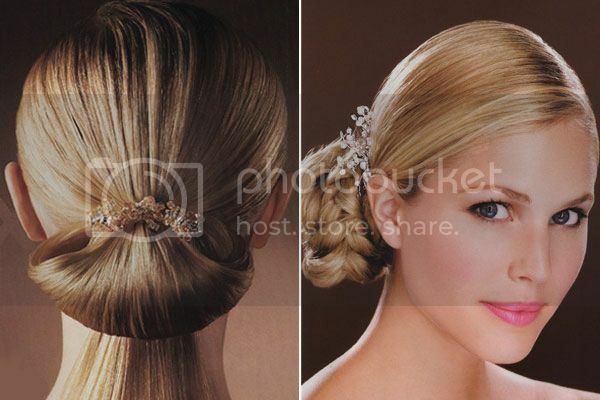 This will help your hairstylist offer suggestions that will compliment the style of your dress. 5) Bring your veil, along with any hair accessories that you’re considering. If you’re thinking about wearing fresh flowers as a hair accessory you can substitute fake flower while experimenting with the look. 6) Take pictures of each trial hairstyle from all angles…front, sides and back – don’t be shy to click-happy! 7) Test the durability of the hairstyle by moving about and jostling any of your hair accessories. Discuss how your hair can be maintained throughout the wedding day and how to be prepared for a hair emergency. 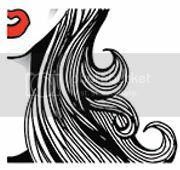 1) Don’t be afraid to get a trim: Too often brides arrive to the trial having not cut their hair for nearly a year because they’re growing their hair out. This is not a good idea as the hair shaft unavoidably splits and exposes the cuticle to harmful debris. So, don’t be afraid to get “baby trims” – your hair and your stylist will thank you and you’ll look radiant! 2) Schedule the last trim or cut 3-4 weeks before the wedding day so the hair shaft is neat and the hair has had time to settle. 3) Have your last hair color appointment 5-7 days before the wedding day. This will allow the color to look it’s freshest, but if necessary the stylist has adequate time to enhance color with highlights, low-lights or color adjustments. Note: If you have never colored your hair then 5-7 days before the wedding day is not the time to start. Have your first hair color or highlights a minimum of 3-4 months before the wedding. It will allow you to adjust to your new hair color, as well as time to go back to your original color if you don’t like it. 4) When sitting for your trial find out what your stylist uses in the way of products, why they like it, how to use it, and what exactly you should be doing in the area of using hair care products as your wedding day approaches. 5) Enjoy a deep conditioning hair treatment 3-5 days before the wedding day to experience softer, silkier, shinier, healthy hair. Always consult your hairstylist on what products are best and don’t wait until the day before your wedding for a conditioning treatment since a treatment may initially leave the hair flat and lacking volume. 1) Start your day with a warm water shower; wash your hair with shampoo & conditioner as advised by your hairstylist. Finish washing your hair with a blast of cold water as it closes your hairs cuticles, leave your locks silky soft (plus it’s a sure fire stress reducer). 2) I also tell all my brides to condition after shampoo. Apply the product mid-shaft to ends, avoiding the roots. This will allow for easier and fuller volume at the roots to enhance styling. 3) Keep your veil and hair accessories readily available for your hairstylist. 4) Take all your inspirational photos, pictures and notes from the trial to your final appointment. It’s been weeks since you decided on your wedding look so the images serve to remind both you and your stylist what you agreed on for your final bridal ‘do! 5) Pack an emergency hair kit consisting of a small can of hairspray, bobby pins and comb. I always give a bridesmaid a few bobby pins for her purse – they’re the single most reliable emergency item on your wedding day! I hope this has helped ease some of your wedding woes! And, these tips are great even for a bride that plans on doing her own hair. You might even want to consider a quick lesson from a great hairstylist as their tips and tricks can be invaluable on your wedding day (and usually this option is budget friendly too!). In fact, a hairstyling lesson with a top-notch stylist and the support of friends can be the perfect compromise to not having a professional stylist on your wedding day. So be informed, be inspired and be beautiful on your wedding day! ALL ABOUT KRISTAN: Whether it’s a celebrity photo shoot or an award show, it’s not difficult to spot the gorgeous women or handsome men styled by one particular celebrity hairstylist: Kristan Serafino. She is the woman behind some of the hottest hairstyles on the red carpet’s brightest stars as well as being The Featured Hairstylist this summer at La Don Spa, East Hampton! Renowned for her elegance and style, Kristan’s hairstyling has also made an impact in the bridal industry. She has styled bridal hair for more than 15 covers of Brides magazine, including the prestigious 75th Anniversary issue. Kristan’s latest celebrity wedding was featured on the cover of People magazine where she styled the bride Camila Alves and the groom Matthew McConaughey. Her experience in hairstyling is diverse enough that a bride can be assured to achieve the look that best fits her wedding style or theme from classic to contemporary. When Kristan is not tending to her celebrity clientele, pinning to her fab Pinterest boards, or tweeting madly, she is writing for her blog SerafinoSays.com, chosen by the publishers of Cosmopolitan magazine as a Top 10 “Up-and-Coming Blog” for two consecutive years. Top photos via Pinterest, the remainder are sourced directly. And if you’re looking for fabulous hair accessories including veils, shop them here! Fashion Friday: How To Get Gorgeous Eyes at Your Wedding with International Makeup Artist Lucy B!